Your eyebrows can add a lot of visual weight to the appearance of your face, especially if your eyebrows are properly shaped according to the shape of your face. Brows that are properly balanced helps to obtain the look you desire. Trying DIY eyebrow waxing can end badly and cause regrowth problems. Fortunately, there are a variety of cosmetic treatments available for those looking to reduce the amount of hair on their eyebrows and balance it according to their facial traits. Brow waxing and shaping is a method in which wax is applied to the unwanted portions of your hair and then pulled off using a strip. Brow waxing in San Jose is a great option if you struggle with eyebrows are too thick and dense. At Nichole Lynn Esthetics, I can help you achieve beautiful, balanced eyebrows with my eyebrow shaping services. 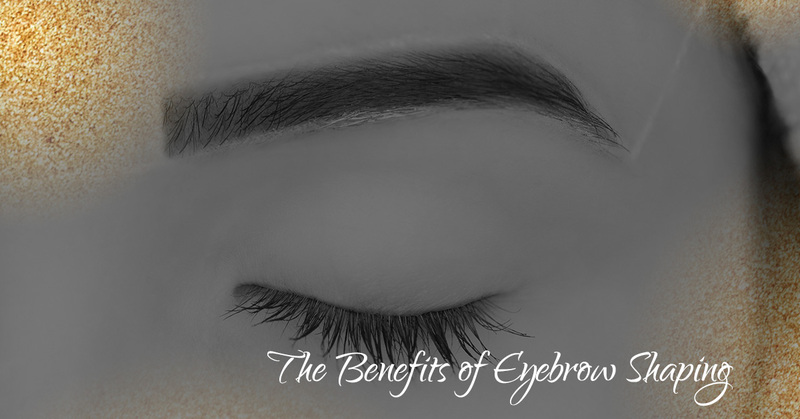 There are a variety of benefits to my eyebrow shaping in San Diego, and in this blog, I am going to share some of the best advantages you can receive. Eyebrow waxing can remove the hair from its root. When hair is pulled from its root, it typically takes longer to regrow as the root itself needs to first develop. It usually can take about three to four months for the hair to grow back after waxing. Balanced eyebrows can be kept and maintained for an extended period of time after one waxing session. One of the main focuses of eyebrow waxing is to obtain a finer shape for your brows that complements the appearance of your face. The flexibility of eyebrow waxing services allows your eyebrows to be properly shaped through subtle removal methods. One of the most interesting benefits of eyebrow waxing is the eventual effect it has on the growth of the eyebrows. After a couple of eyebrow waxing sessions, the hair will start to grow in the right direction and the eyebrow will naturally gain a beautiful, balanced line. Waxing helps your hair cells promote a shape that holds the remaining traits of your facial appearance together. Therefore, a couple of waxing treatments can bring about permanent and lasting effects. Trained estheticians have good experience in various types of cosmetic beauty and skin care treatments. Waxing is the most popular treatments estheticians like myself perform and they will have considerable expertise to provide you with professional results. We know just how much waxing is needed to get the right shape for your eyebrow. Eyebrow waxing promotes softer regrowth of hair. Such an effect can be beneficial if you have an eyebrow hair that is dense or thick. After eyebrow waxing, regrown hair looks subtle and thinner enough to re-define the eyebrows with a new and balanced shape. Eyebrow waxing and shaping involves stripping off the portion of hair on which wax is applied by using a strip. This method reduces that amount of pain that is experienced, not causing any side effects like bruising. Plus, this technique will only cause the skin to turn red for a short amount of time. Everything becomes normal in a matter of few minutes after the hair is removed. As you can see, there are a variety of benefits to professional brow shaping services. Remember, if you are in need of eyebrow shaping in San Jose, contact Nichole Lynn Esthetics. As a trained and licensed esthetician, I can help properly shape your eyebrows in a beautiful and balanced way. Contact me today to schedule a brow shaping consultation and waxing appointment!